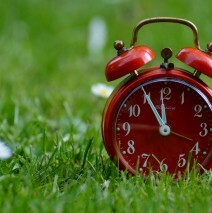 Time management is one of the most difficult skills to master for any small business owner, but it is an important one. I juggle my writing company with a full-time job in the medical field, and the only way I can do that is with good time management (and my trusty assistant). Several of my clients have asked me to put together a snapshot of what a typical day looks like for me. As I do the majority of my work on the weekends and evenings, it can vary, but the general routine remains the same. Each Sunday morning I sit down with a cup of coffee and schedule my weekly orders in a lined notepad. 1. Daily schedule (in order of due date). 2. Other (rush upgrades, emails to return, and critiques to complete). I then write out all three of my blog posts for the week (Monday, Wednesday, and Friday) and upload them to my blog with keyword research and pictures. That way all I have to do is click “Publish” those mornings. I also schedule my Facebook posts for the week. That’s it for Sunday (unless I have critiques or rush orders due). 1. Check emails and answer accordingly. 2. Check Etsy messages and answer accordingly. 3. Check website for comments and moderate. 4. Check Facebook and follow up on tags. 5. Post to Pinterest and Twitter. 6. Every other day I post an ad in Facebook forums. The timeline varies depending on my other daily responsibilities, but that’s a general guideline. I am grateful I get to set my own hours, and there can be huge breaks between the tasks but by writing them down I can get them done in a sequential fashion. I use my time in my car commuting to listen to continuing education and podcasts within my line of work. So what does your daily schedule look like? Do you have any tips and tricks you could share with the rest of us?